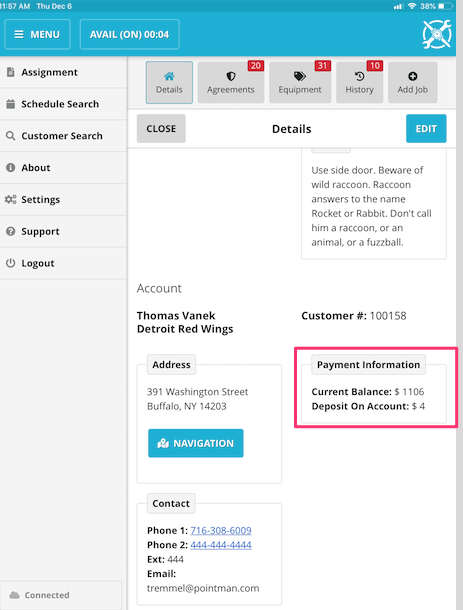 How can I see an Accounts Receivable balance on a customer before the Payment Screen? 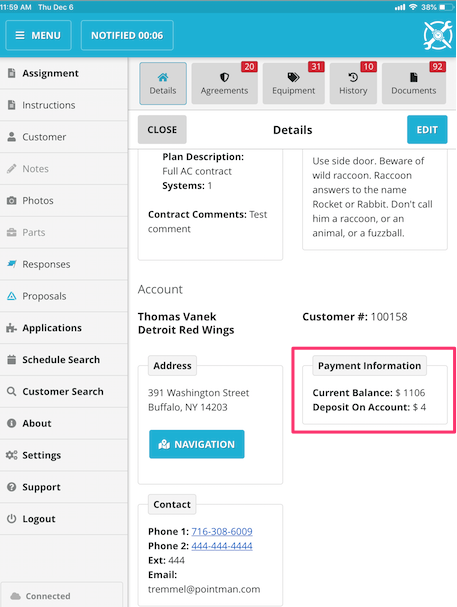 There are two ways you can find the Accounts Receivable balance for a customer before reaching the Payment Screen. The first one can be found by the following Steps if you have the appropriate permissions from your office (listed as RemoteTechOnCall or equivalent permissions). The second method you can use to find this works if you are on the call for this location.